This is some old information. Will clean it up later. Just moving it from an even older site. The perception of turbo lag as it relates to RB26 powered vehicles. 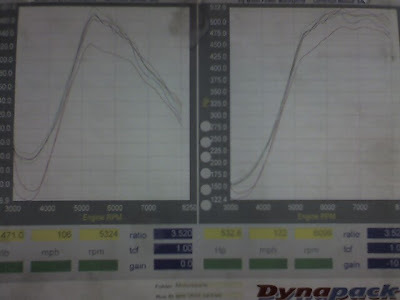 The dyno charts shown below are in no means scientific. They are done on different days, different cars, different setups. What we are looking at is overall ideas. 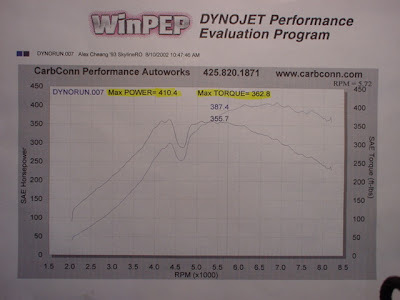 On this setup lets look at some horsepower levels and corresponding rpms. I want to start most at around 3000 rpms as thats where we start most of our Dynapack runs. 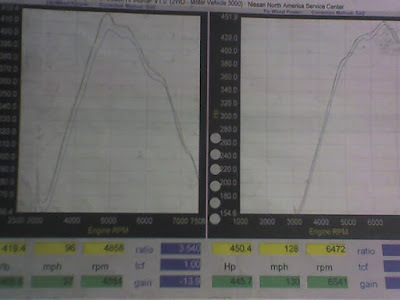 This chart is a stock turbo car, with the boost cranked way up... 25 psi. Big dip is a boost cut. Next is a N1 - AA403 car. On good fuel, otherwise fairly stock. Boost max of 23 psi. Tapering off in the upper rev range down to about 20 psi. Same engine as above, but a swap over to "special Nismo turbos". 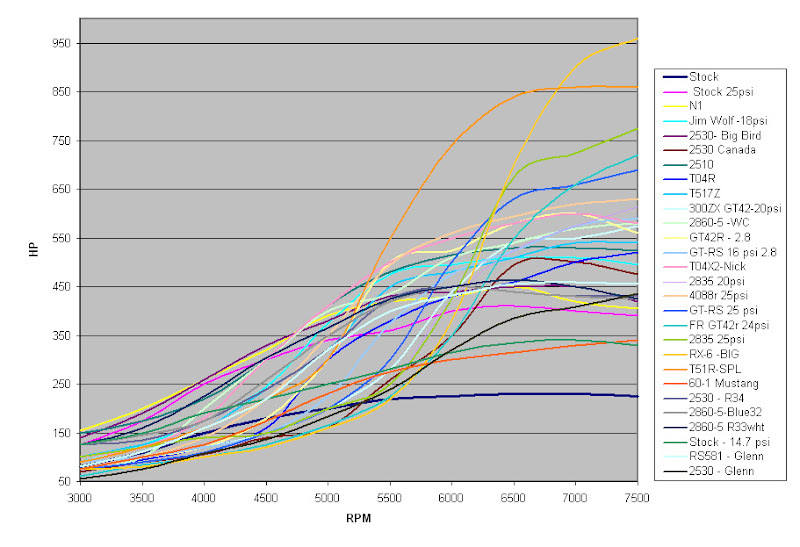 Best I can tell by looking at charts and measuring them, is a HKS 2510 turbo equivalent. 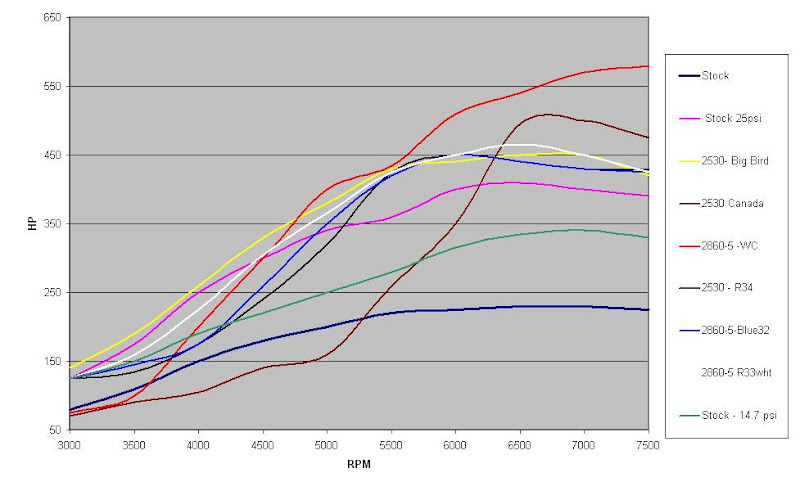 Stock turbos at different boost levels. 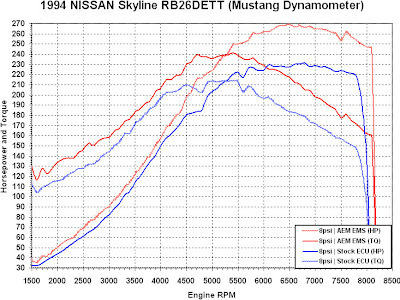 Small turbos Single turbos Buy USA Legal R32 Skylines at Importavehicle.com!